Still hot. Still no rain. It was not, I repeat not 100 or above today, but it was 95ºF. I did not water the garden till later in the day. With not having to mow, we have just been leaving our hose stretched out. I tell you, when we first turn the water on after the hose has been laying in the sun, we have to just let the water run out on the ground. It is too hot to hold our hand in, so am sure it would not be good to put on the plants. We are watching a few of the Olympics...just bits here and there. I am not sure if I have a favorite part...if I do it is either the parallel bars or the uneven parallel bars. And would have loved to try pole vaulting as a kid. The floor exercises absolutely amaze me....they defy the laws of gravity. At least in my opinion. Beautiful shot Rose! I've been enjoying the Olympics, I've taped them and watch them at my leisure, the bars amaze me. HI Rose, We finally got 1/2 inch of rain this afternoon... First rain at all in over 2 weeks... We needed it... Hope you get some soon. We are enjoying the Olympics --here and there also.. I love the swimming and the gymnastics. We haven't been quite as hot but it has been dry lately. We do the same with our hose, it has to run for awhile before we can pick it up. I love those pretty coneflowers. Pretty photo, Rose. We had a light rain shower yesterday a.m. Every little bit helps. Sounds like we have the same weather conditions. I've been watching a lot of the Olympics since it is too hot and dry to do much else.I enjoy the tennis, volleyball, gymnatistics, and the smaller sports like fencing, archery, etc. hubby is watching the Olympics, i don't care for anything but he diving. i see a little of it because he has it running most of the day. he has a competive gene that is out of sight and i have not a one. the water out of our hose will cook the fingers if we don't let it run before we touch it. The only Olympics I have seen so far have been clops on the news. I have been too busy lately to watch them. And I am very behind in visiting blogs! 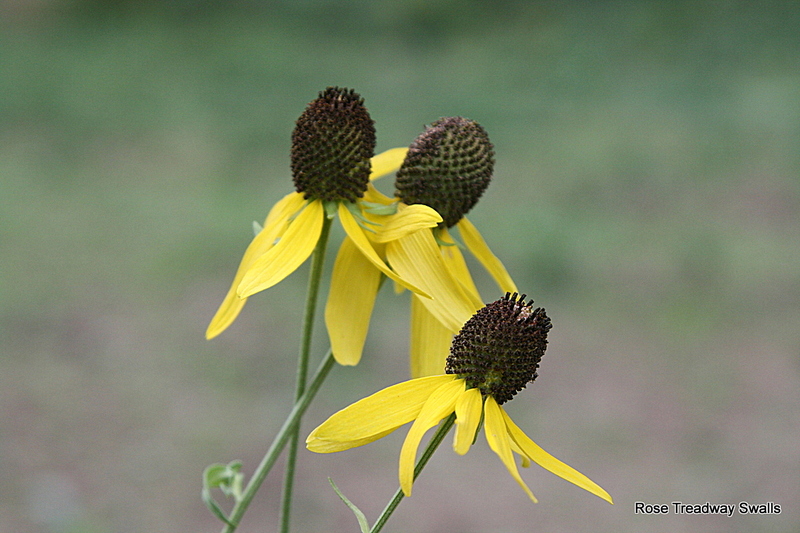 Love these coneflowers! Very nice photo! They're talking of rain for us tonight. Everybody is harvesting now, so....not sure rain is what we need. But we never complain when it arrives. The blackeyed susans LOOK hot! Maybe you (and they) will get some relief soon!